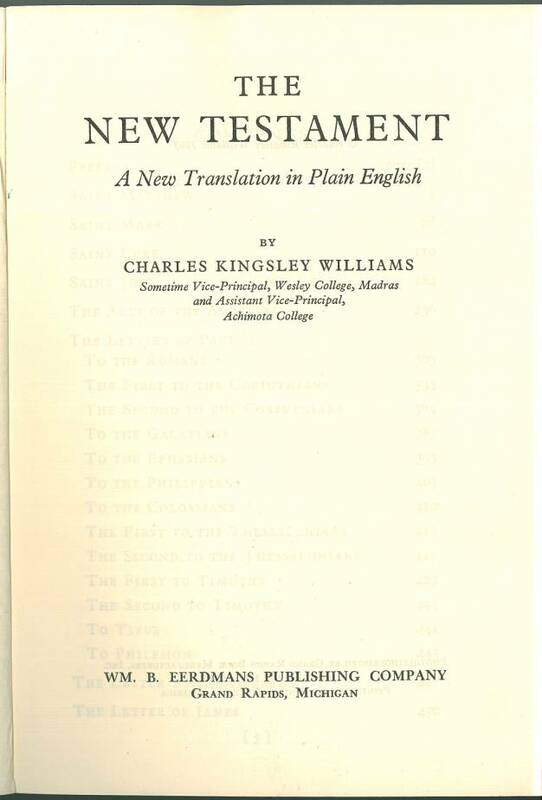 Charles Kingsley Williams of Achimota College in Ghana translated Luke (1933) and Matthew (1934) before publishing the complete New Testament in 1952. Title: The Life of Our Lord Jesus Christ, according to St. Luke, together with some passages from the other Gospels. 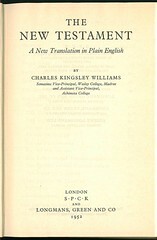 Newly done into very simple English from the Greek of the Revised Version by C. Kingsley Williams. 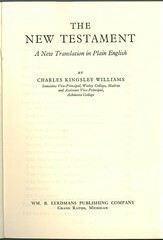 References: Chamberlin 582-5, Herbert 2306,Taliaferro CN00168, Taliaferro-EELBV 7925. 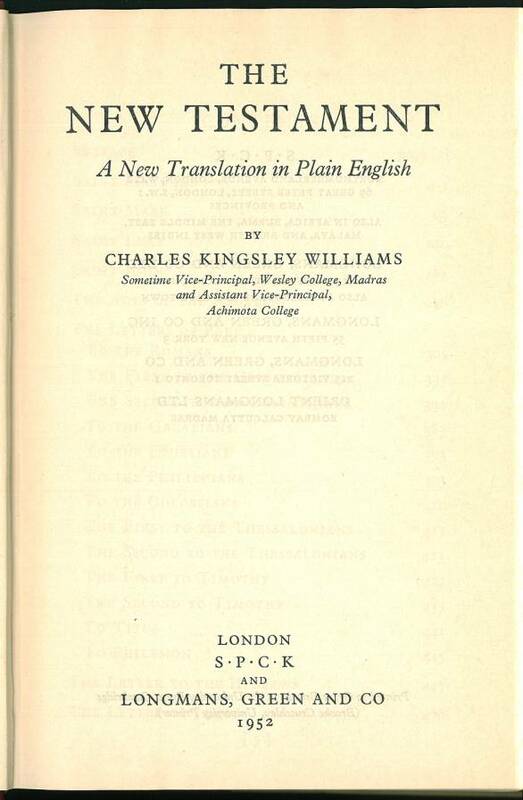 References: Chamberlin 582-5; Herbert see 2244, 2306, Taliaferro CN00168, Taliaferro-EELBV 7925.